Errol Manners is a specialist and dealer in European ceramics. 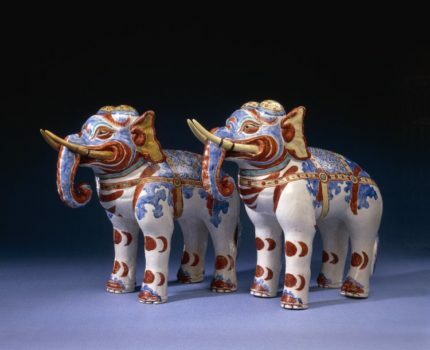 He was chairman of the French Porcelain Society from 2007 to 2015 and a committee member of the BADA Cultural and Educational Trust and Programme Adviser for the Ceramics Conservation course of the Edward James Foundation at West Dean College. He is a Fellow of the Society of Antiquaries of London. Professor Ōhashi Kōji is a specialist in East Asian porcelain and the founder of the Kyushu Ceramic Museum where he still serves as a Special Curator. He teaches at Arita College of Ceramics and is the head Trustee of the Association of Asian Cultural Properties Cooperation Association as well as being the Vice Chair of the Japan Society of Oriental Ceramics. He has written dozens of books and curated numerous exhibitions on East Asian Ceramics from both archaeological and art historical viewpoints. His most recent research focus has been to re-examine the history of Kakiemon and Nabeshima porcelains and place them in historical and social context. Nicole Coolidge Rousmaniere is IFAC Handa Curator of Japanese Art at the Department of Asia, British Museum. She is also the founding Director of the Sainsbury Institute for the Study of Japanese Arts and Cultures and Professor of Japanese Art and Culture at the University of East Anglia. She received her PhD from Harvard University in 1998. She is currently working on a book manuscript Four Hundred Years of Japanese Porcelain. In 2012 she wrote Vessels of Influence: China and the Birth of Porcelain in Medieval and Early Modern Japan (Bloomsbury Academic). In addition to her work at the British Museum from Summer 2011, she is the Research Director of the Sainsbury Institute. Sakaida Kakiemon XV was born in 1968 in Arita Japan and named Sakaida Hiroshi. He studied painting at Tama Art University and upon graduating in 1994 started to work with his father Kakiemon XIV. In 2010, he began to teach at Kyushu Sangyo University in Fukuoka and displayed his work for the first time in the Japanese Traditional Art Crafts Association exhibition. In 2013, he took over as president of the Kakiemon Preservation Society, which protects the technique, a registered Important Cultural Asset. On 4 February 2014, he received the name Sakaida Kakiemon XV.